Seeds or plays on table. 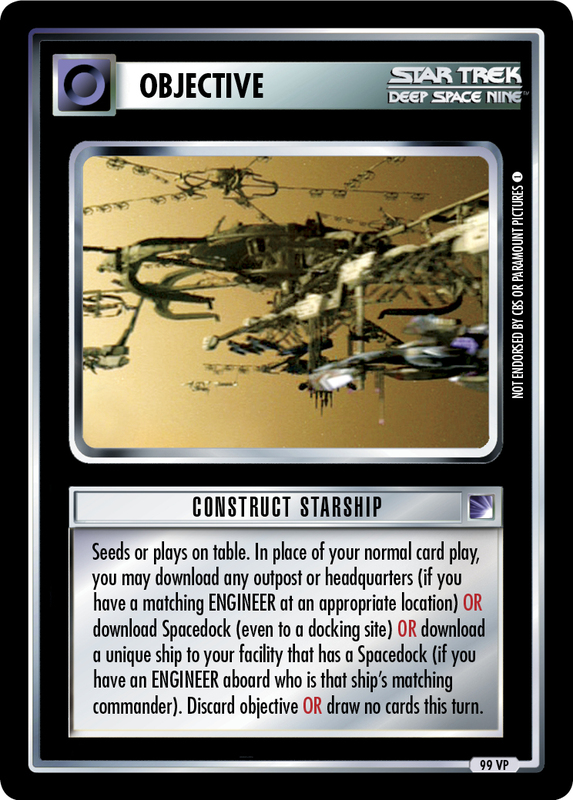 In place of your normal card play, you may download any outpost or headquarters (if you have a matching ENGINEER at an appropriate location) OR download Spacedock (even to a docking site) OR download a unique ship to your facility that has a Spacedock (if you have an ENGINEER aboard who is that ship's matching commander). Discard objective OR draw no cards this turn.